Ways to Layer Jewellery: Why wear one piece when you can wear it all? Why wear one piece when you can wear it all? Busy ladies like us are stuck in the cycle of reaching for our tried and trusted pieces of jewellery – and why not – they are classic pieces that work for everything, both day and night. But for the fashionistas amongst us, it is good to get the most out of our ever growing jewellery collection. That is why we are big advocates of layering and stacking our precious gems. Not only does the layering of accessories make an outfit, but you can get a whole lot of more wear out of your jewellery trove. Finding that perfect jewellery combination can be a daunting task – you want it to look effortless yet pristine. So here are some of our top tips to help demystify the art of layering jewellery once and for all. Perhaps the hardest area to layer, so first consider the neckline you’ll be wearing when creating your layered necklace look. The simpler the top the more decorative you can be with your accessories. Don’t be afraid to mix it up. 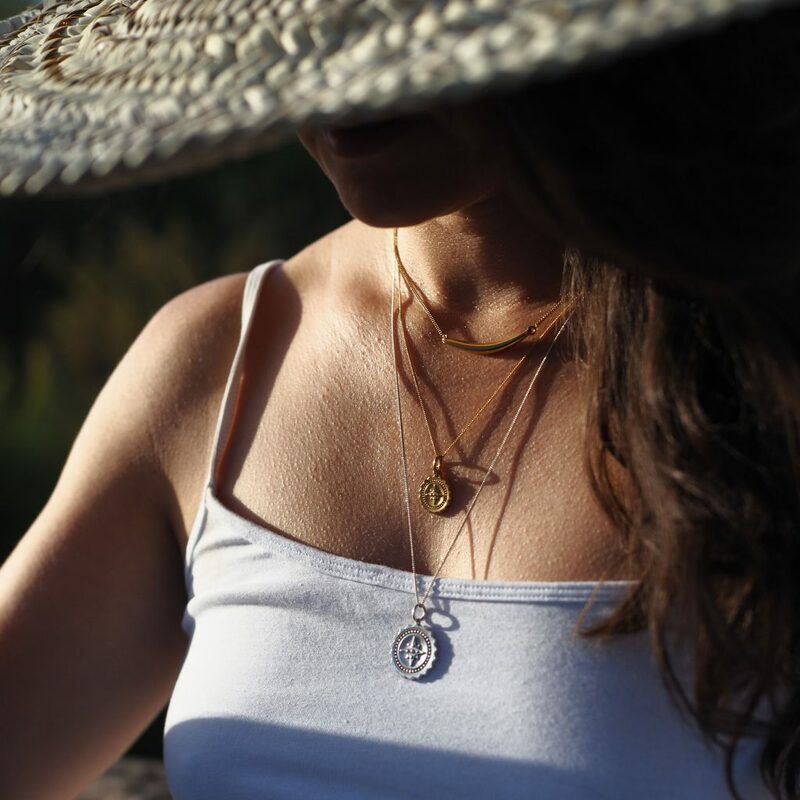 Wear heavy and dainty pieces at the same time, pair your WOW necklace with simpler go-to pieces to transform your day look into an evening look. A chunky chain can make your delicate pendants pop even more. Layer different pendants at varied chain lengths to achieve the layered look. We think a delicate choker teamed together with a statement piece on a longer chain can make all the difference to your casual go-to outfit. Why not pair our forever curve necklace with our beautifully carved compass necklace on an 18” or 20” chain. Let your necklaces fall at different lengths looking a little ‘undone’ to create that cool, effortless chic vibe to your style. For those a little nervous about getting the layered look ‘just right’ start with bracelets. Team up your favourite chunky bracelet with a couple of simple pieces from your bracelet collection. Go bold with your wrist game – don’t be worried about choosing between masculine and feminine pieces wear them both. Why not double up with two of our hand engraved disc bracelets, also adding a personalised style to your layered wrist jewellery. ‘Throw a hand party’ they said. 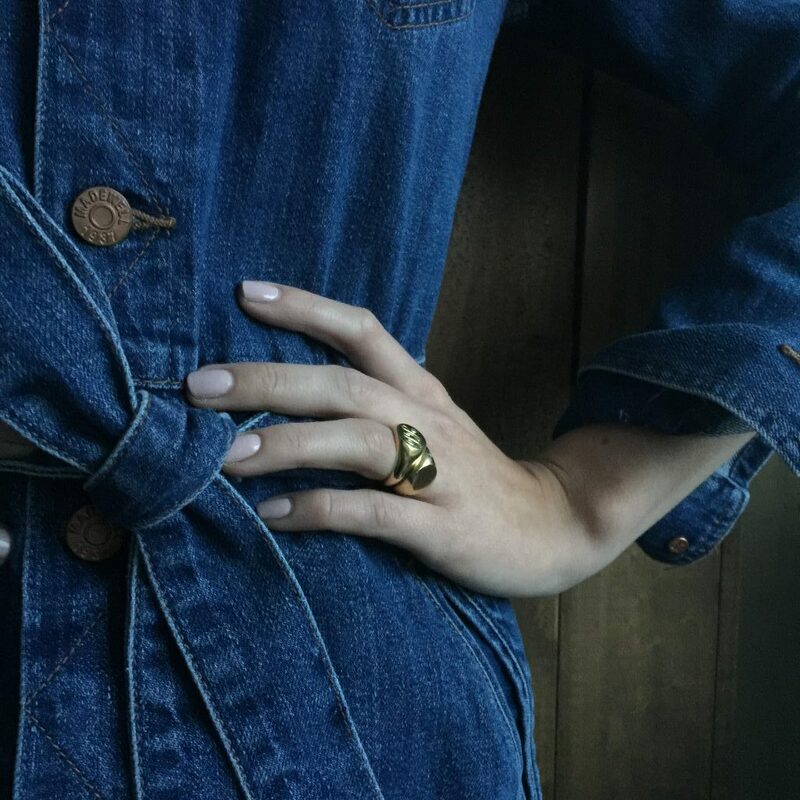 Wear rings of all different shapes, sizes and textures. Stack ‘em up or wear a different style on each of your fingers. Rings with different precious gemstones or charms look great teamed up with a plain band. Or be bold and wear with a signet ring to create that girl power look. And if you want your pretty jewel layered hands to steal the spotlight keep the rest of your jewellery look simple. Remember you want to keep your jewellery layering look cool and sophisticated rather than overwhelming. Layering is the dream kinda style for those who can’t decide whether they are team silver or team gold, especially as mixed precious metals is right on trend. So be bold – wear a combination of all precious metals. This creates a more interesting and natural feel to your jewellery look. Simple additions and combinations can make all the difference to your jewellery style.